FFA - Safe Step Walk-In Tub Company stops advertising on Al Jazeera America within hours of start of email campaign. Safe Step Walk-In Tub Company stops advertising on Al Jazeera America within hours of start of email campaign. Safe Step Walk-In Tub Company recently started advertising on Al Jazeera America. Florida Family Association tapes ten hours of programing on Al Jazeera America every day. The Florida Family Association office communicates with each advertiser no less than once per week. Safe Step Walk-In Tub ads continued to air on Al Jazeera America after officials received several email communications from Florida Family Association. Florida Family Association sent out an email alert at midnight November 9, 2015 entitled Safe Step Walk-In Tub Company is new top advertiser on Al Jazeera America. Thousands of people responded by sending emails of concern to Safe Step Walk-In Tub Company officials. We have pulled the advertising. You can stop spamming our emails now as we have pulled all advertising. Candidly our agency placed this advertising without our knowledge and was asked to stop previously but said they could not pull ads already placed. It appears that Safe Step Walk-In Tub Company attempted to pull their advertising in the beginning of their campaign but was not successful. Florida Family Association will closely monitor Al Jazeera America as is done every week. 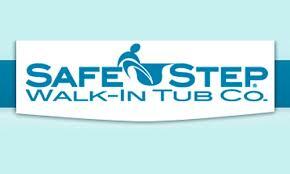 Should Safe Step Walk-In Tub Company advertising resume a new online campaign will be started. Al Jazeera, whose leaders espouse disgust for Israel, who showed disdain for Charlie Hebdow victims, is a news company that is owned by the non-democratic, monarch styled emirate of Qatar who allows wealthy citizens to financially support ISIS, supports the Muslim Brotherhood, backs the head of Hamas, espouses Islamic Sharia law and does not afford citizens freedom of the press. There are many reasons why Corporate America should not expense United States' consumer dollars with Al Jazeera America. Click here to read more. Why is it important to vigorously challenge American companies not to advertise with Al Jazeera America? * No other company poses a larger threat for the most American companies to start doing business with Islamist companies. * The news media does influence the political positions of the public. The Islamist political positions held by Al Jazeera officials and/or owner, especially those positions summarized below, pose a threat to changing American public policy that has protected life, liberty and the pursuit of happiness. * American companies that buy advertising with Al Jazeera America are giving United States consumer dollars to an Islamist Sharia minded regime.